These are drawings made by our amazing listeners. We love getting dino drawings, so please email yours to kidosauruspodcast@gmail.com so we can add it to the gallery! Please include your first name, last initial, hometown, and a brief description of your drawing. Remember, we pick one lucky listener's drawing every month and send them a T-Rex tooth cast or another amazing gift! Thanks for sharing your awesome dino drawings with the Kidosaurus and all our listeners!!! Hover over the drawings as you scroll through- we've started adding artist descriptions to each DINO DRAWING! "There's meat between its foot and the tree. Its tongue is coming out of its mouth, but it is not licking the tree. There is blood from a triceratops in the bottom corner." Imogen W riding the flying reptile, Quetzalcoatlus! 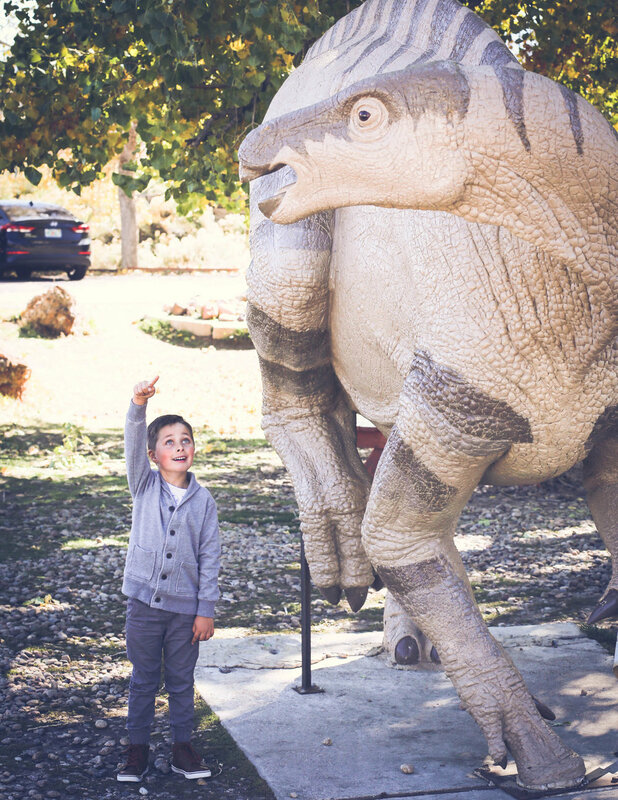 Imogen wants to be a paleontologist when she grows up and loves the Royal Tyrrell dinosaur museum in Drumheller! Declan created a new species with this creative drawing and loves the Kidosaurus Podcast!